Drain the cashews and put them in a blender. Blend the cashews with 2 garlic cloves, salt, olive oil, the sundried tomatoes, green pepper and lemon juice until smooth. If needed, slowly add a little water to obtain the desired consistency. 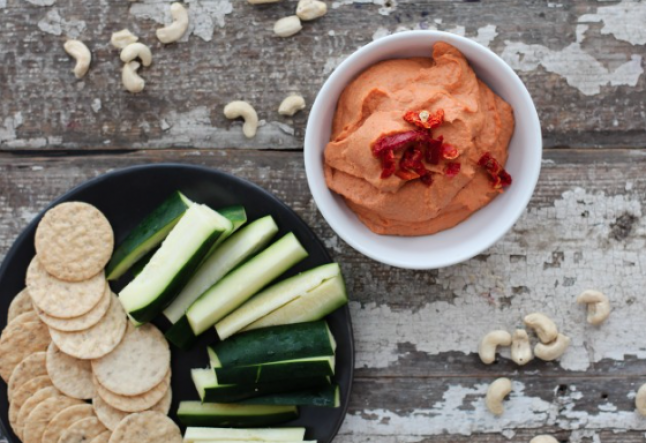 Enjoy with gluten-free crackers, bread or raw sliced vegetables!